Just as Uluru (Ayre’s Rock) is sacred to Australia’s native people, so Yosemite is sacred to native Americans. 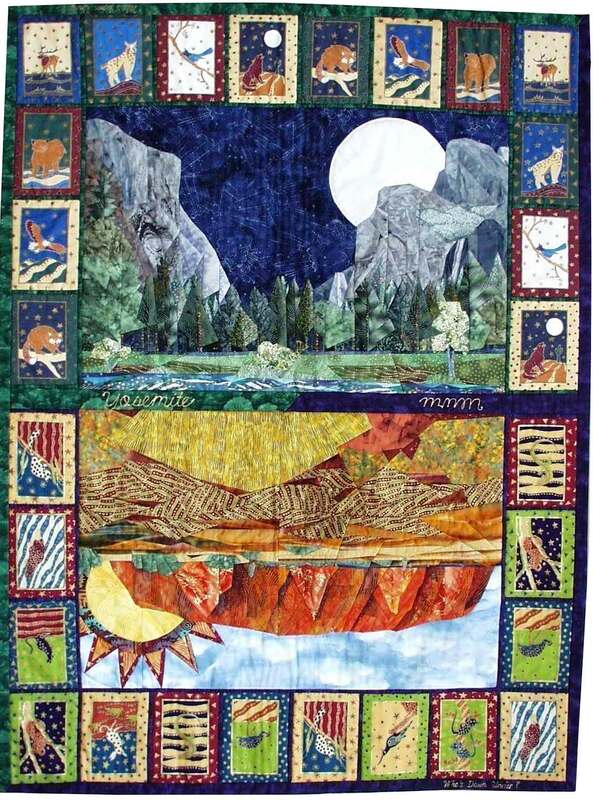 This quilt was part of a challenge between California and Australian quilters, and each group provided six fabrics. There is no ‘right side up’ – the quilt can hang either way. After all, who is to say who is really ‘Down Under’ and who is ‘On Top’? Technique: Cynthia England’s picture piecing technique, which reduces any photographic image to nothing but simple straight lines. 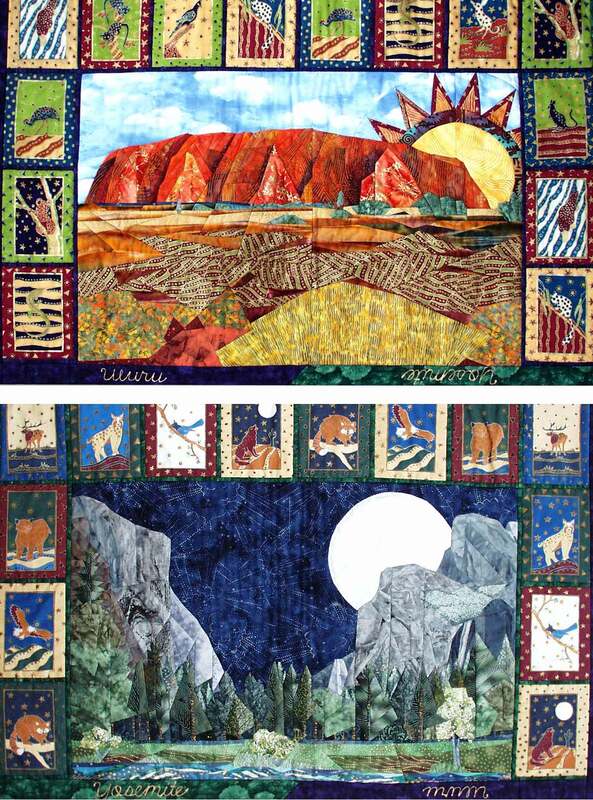 I designed and painted the American animal border to complement the Australian printed fabric animal border.